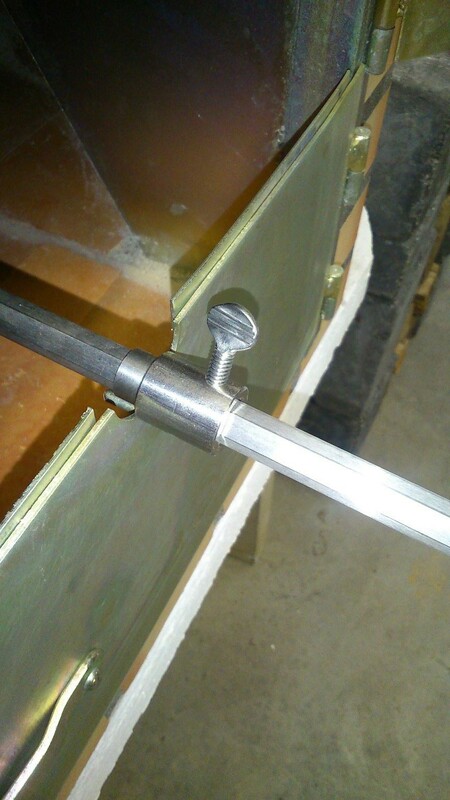 2 stainless steel bushings to ensure the spit turns easily. 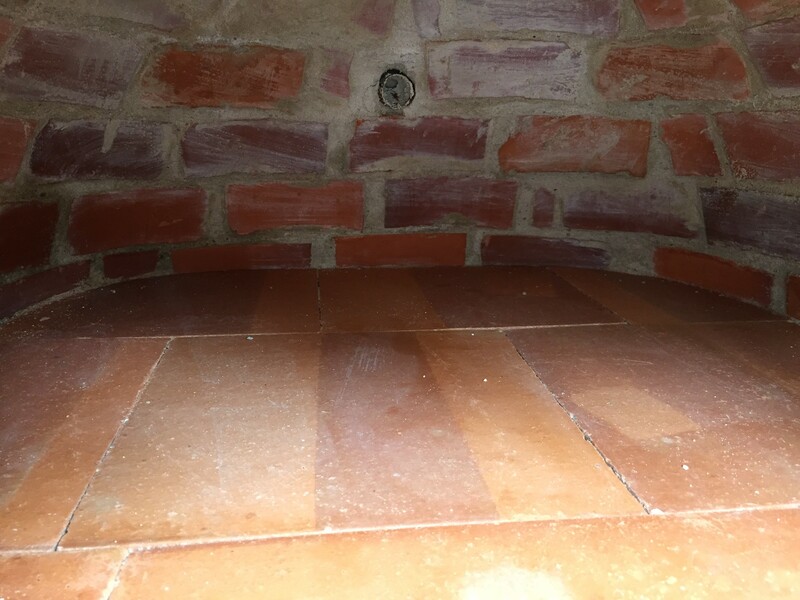 Our Portuguese brick ovens come with a special hole in the back wall designed to accommodate the deep end of the spit. You will need to place the "sleeve" bushing included with the set onto the deep end to make sure, it's function is to provide the square 5/16" spit with easy revolutions by making the last inches of it round, this is the piece that goes into the hole in the back wall. You can place up to 2 chickens at a time on the spit securing them with 2 forks each. 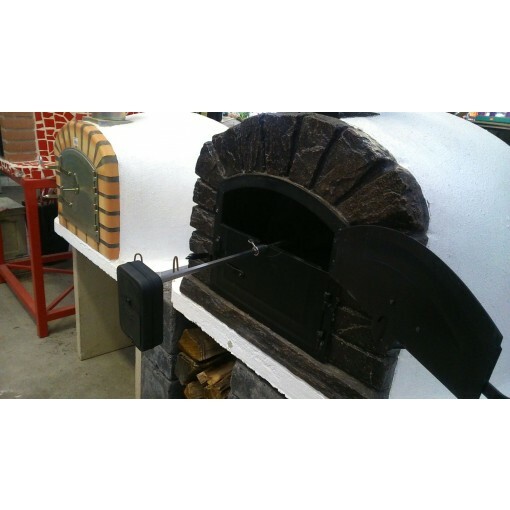 Finally goes the bushing that holds the square spit in the place designed for it on the oven door, see pictures. 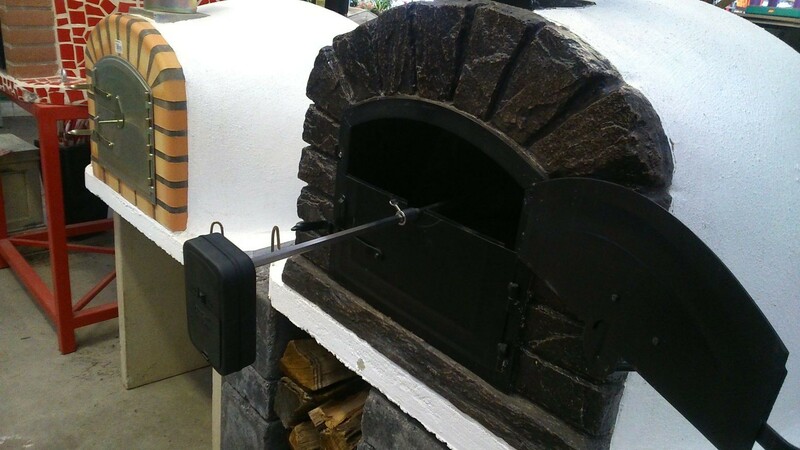 The sharp end of the spit will stick out of the door. The motor is simply pushed to hang on the spit. 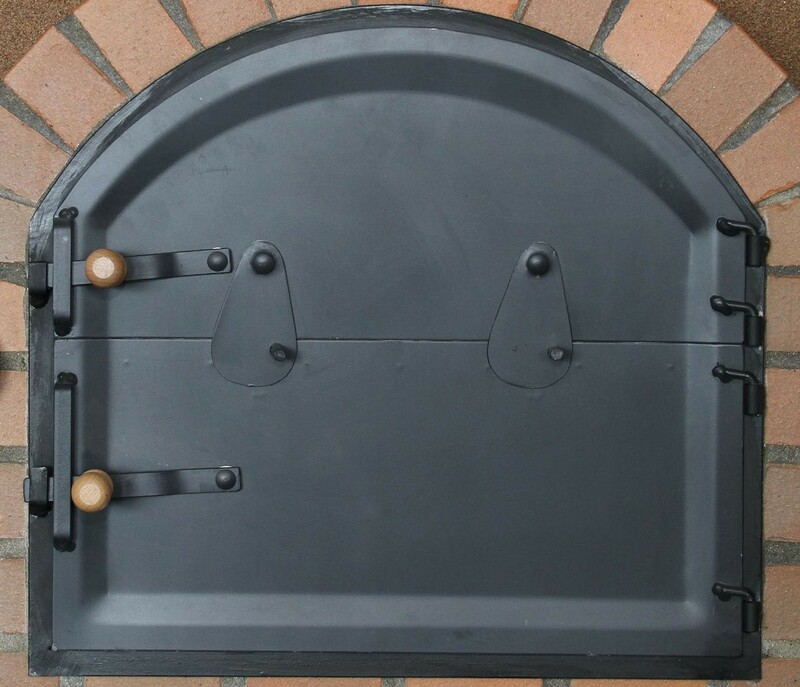 If you are using our clay oven it has a stand which is capable to support 2 such rotisseries. 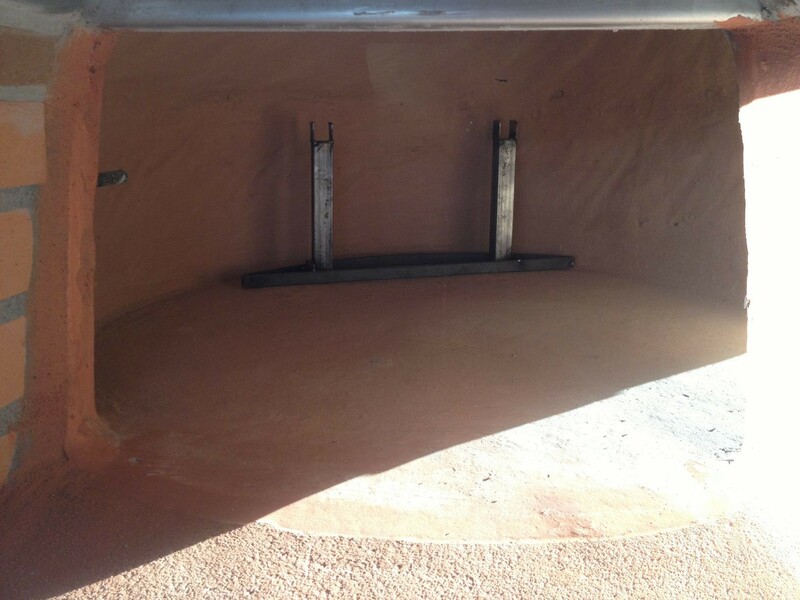 The "sleeve" bushing will need to be adjusted on the spit to sit on the stand. 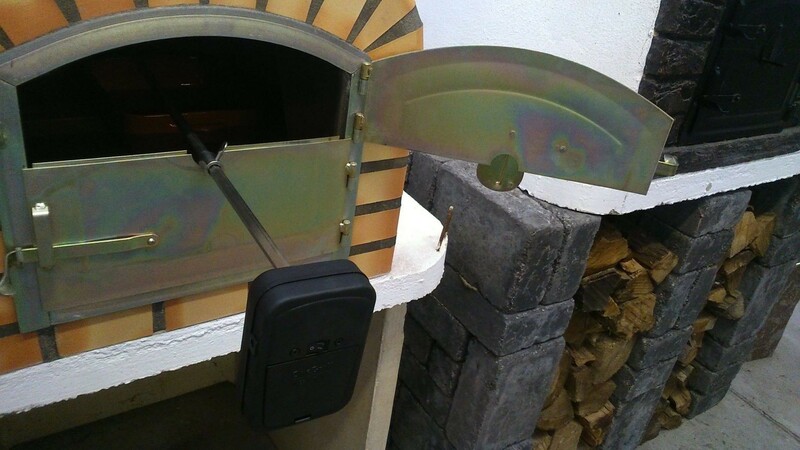 Very important: you will need to secure the motor, otherwise when you turn the motor on the motor will spin instead of the rotisserie! Because the rotisserie with meat load on it weights more than the motor. 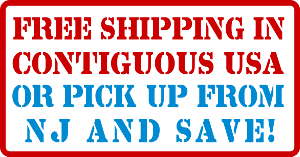 You can easily prevent the motor from spinning by place something heavy to the side of the motor, like wood or bricks, anything which will keep it from spinning. 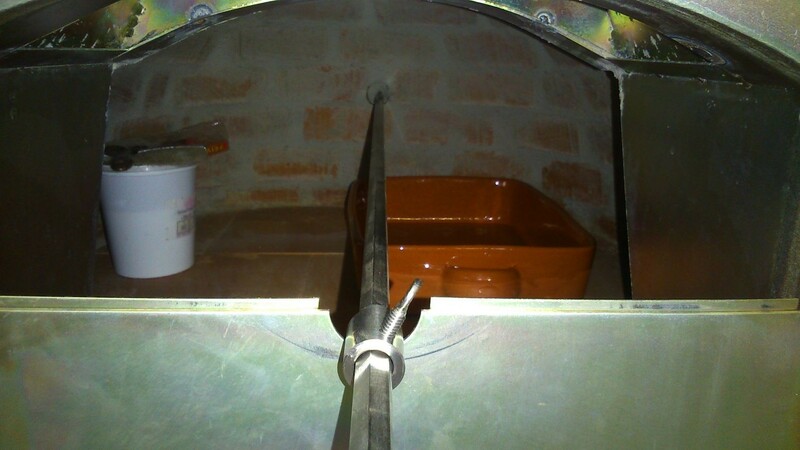 Once the motor is fixed in one place the rotisserie spit starts spinning and you will have the juiciest chicken ever! 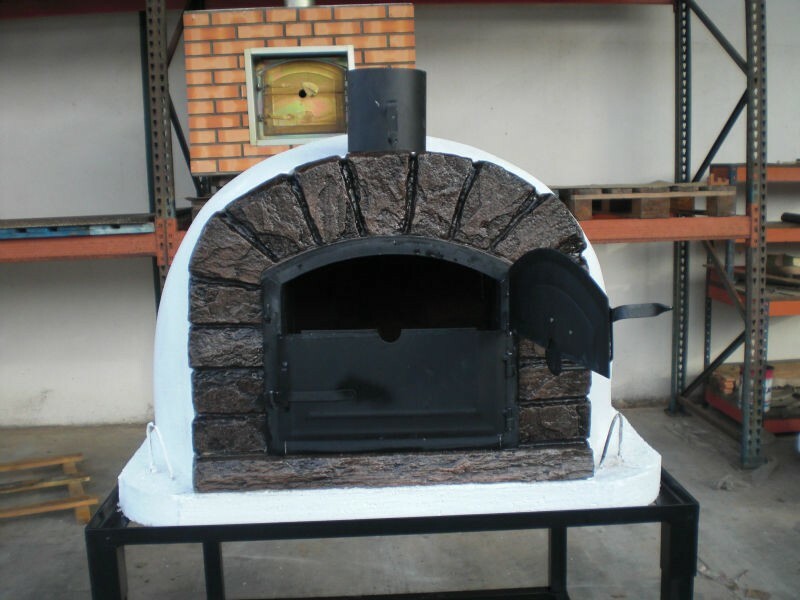 A wood fired oven provides unparalleled heat uniformity which is key for rotisserie. A set of batteries will typically provide 36 hours of spinning. Depending on what you are making each spinning cycle will be 30-60 min. with chicken a lot closer to 30. Do not operate when motor is wet or under the rain.